This short tutorial will show you how to use the "merge" feature of Areca. Make sure you've had a look at the previous tutorials before reading this section. 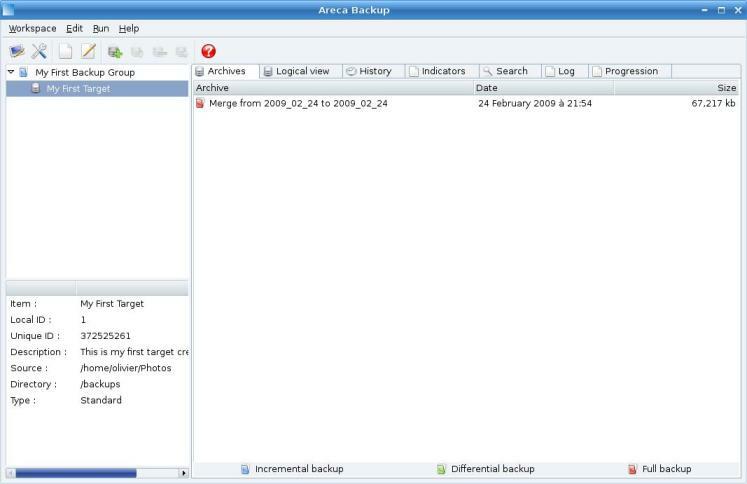 Make sure you've had a look at the previous tutorial (Section 3 : "Merging your archives") before reading this section. 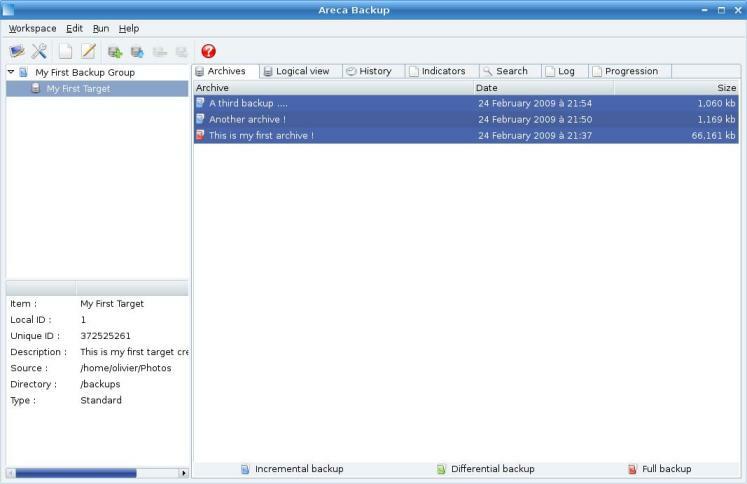 If you want to keep only a limited number of archives to avoid using too much space on your backup location, the "merge" feature will be useful to you. Just hit the "Start merge" button. If you go back to the "Logical view" and select "MyNewPicture.jpg", you see that the file's history has disappeared. 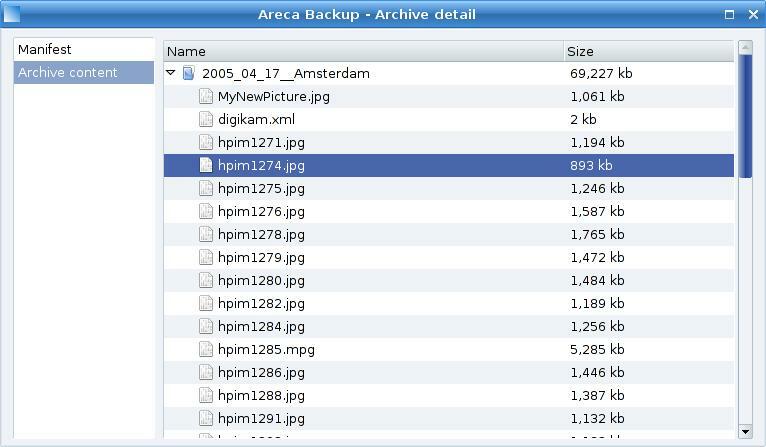 A unique version is now displayed (created at 9:54 PM) : Areca has destroyed the file's history and kept the last version only.